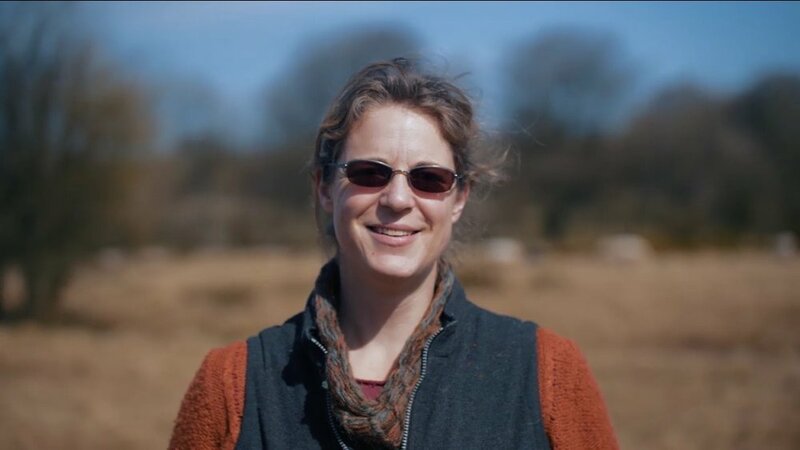 Fernhill Fleece and Fibre employs a best practice guide to growing and harvesting British wool, encouraging wool production from commercial farmers close to Bristol and the South West who are committed to transparent holistic management standards. Growers are mapped to offer full traceability and new methods of extracting the best fibres at shearing (such as pre-lamb blade shearing and Autumn shearing of lambs) will be promoted. Holistic farming management practices, certified by the Savory Institute are employed to sequester carbon from the atmosphere, replenish soil fertility and ensure highest standards of animal welfare. Fernhill Fleece Standards ensures that the raw fleece supplied for the Bristol Cloth is colour coded, graded and sorted to ensure consistent length and strength, whilst gentle washing retains natural fleece structures during yarn production. 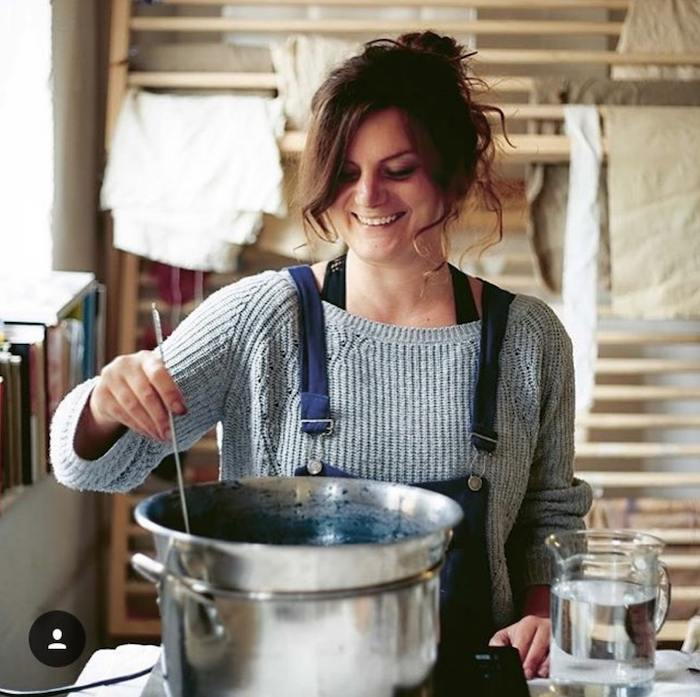 Bristol based Botanical Inks natural dye studio was founded in 2014 by Babs Behan, author of Botanical Inks Plant-To-Print Dyes, Techniques and Projects, published by Quadrille Books 2018. Babs Behan is the founding director of the Bristol Cloth project, and is also responsible for providing the natural dyeing services. Botanical Inks prioritise using organic pigments & local natural fibres, without the use of toxic synthetic chemicals or heavy metals, as part of a non-toxic creative practice. Creating products which are safe to work with, wear and dispose of at the end of their useful life cycle, as biological nutrients. Botanical Inks supply the naturally-dyed yarns for the Bristol Cloth project, to complement the beautiful un-dyed fleece colours supplied by Fernhill Fleece. The Bristol Weaving Mill Ltd. is a new production sampling facility specialising in the production of high-quality woven fabrics based in the heart of St Philips, Bristol. 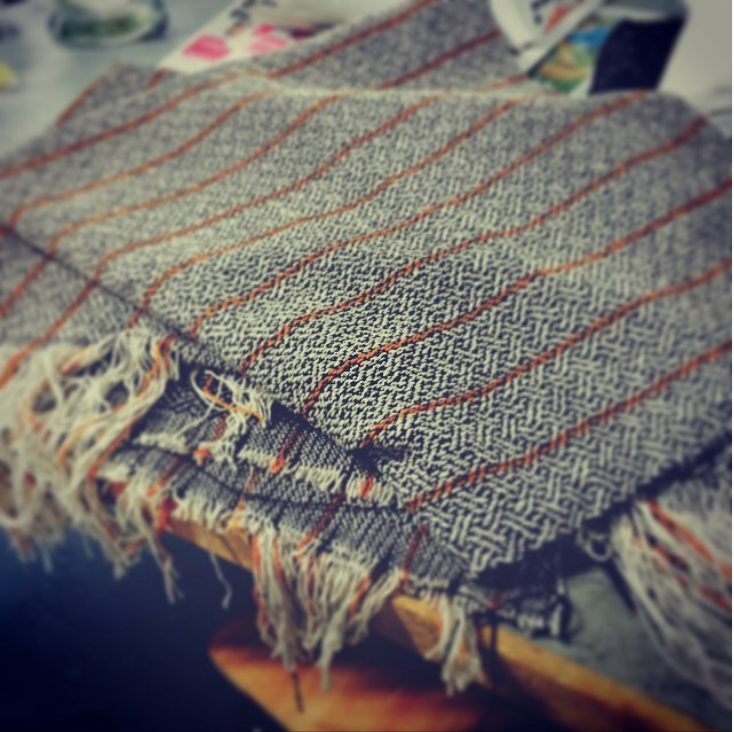 Launched in 2015 by Franki Brewer and Juliet Bailey, owners and directors of internationally renowned Bristol based woven textile design studio Dash and Miller Ltd, the Bristol Weaving Mill serves both local, UK and international clients within the fashion and interior industries. The Bristol Weaving Mill Ltd is working alongside Dash and Miller Ltd to design, develop and produce the Bristol Cloth to the highest possible ethical production standards and the lowest possible carbon footprint. Designed on hand-operated weaving looms in the Dash and Miller Ltd studio in collaboration with the Bristol Textile Quarter and local community, the fabric will be woven to order at The Bristol Weaving Mill Ltd on the first industrial weaving loom to open in Bristol in 90 years. We are thrilled to be working with Bristol based tailors to provide an exciting selection of locally made products using Bristol Cloth, closing the loop on our production system. Brown In Town are offering tailor made mens jackets and suits, Jokoto Tailors have flattering ladies kimono jackets and accessories including cushion covers, laptop cases and purses and oB wear is a clothing label focusing on making high quality, considered garments that shape with us over the years. Offering a choice of unisex and zero-waste garments, including a jumpsuit and t-shirt. Brown in Town takes it's inspiration from traditional British tailoring, but, as the name would suggest, they’re not adverse to breaking with tradition in order to achieve the perfect look for the individual. Brown in Town was founded to establish a traditional tailors and outfitters in Bristol, sympathetic to the requirements of the modern gentleman. All their garments are tailored with impeccable cut and finish. Choose from a tailor made to measure jacket, 2-piece suit or 3-piece suit, made using Bristol Cloth. Made to your design style/fit/detail preferences. Jokoto Tailoring is owned and run by Hannah Bartlett and Eloise Atwell. The pair have been working together for several years, originally honing their skills by creating an ethically made womenswear brand Jokoto. After giving up their day jobs in the sewing industry they have opened Jokoto Tailoring. Jokoto Tailoring offers a variety of services. Alterations, bespoke garment making, sample making and dry cleaning. Choose from the layered kimono jacket (below left) and the cropped kimono jacket (below right), made using the Bristol Cloth in a , in a lightweight quality cloth, similar to a light tweed. Finished with a cold wash and hot pressed flat. Along with a zipped bag and 12 X 12” cushion cover design. oB wear is a Bristol based clothing label focusing on making high quality, considered garments that shape with us over the years. Choose from the unisex jumpsuit or zero-waste t-shirt shown below, made using Bristol Cloth, in a lightweight quality cloth, similar to a light tweed. Finished with a cold wash and hot pressed flat. 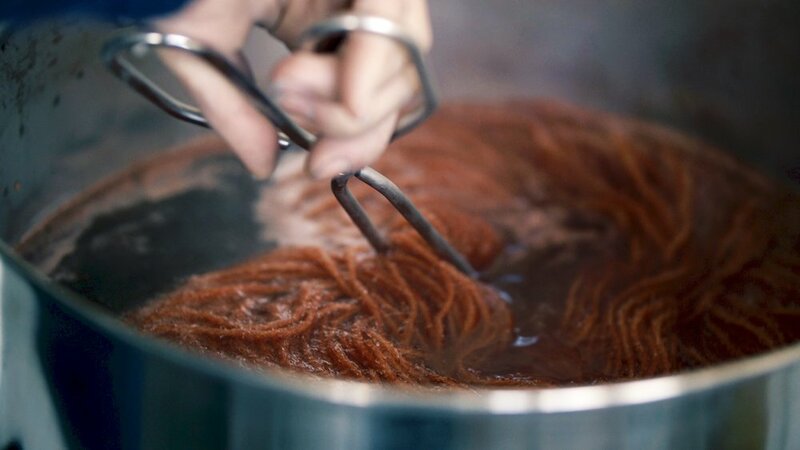 Founded in 2014 by Emma Jane Hague, Bristol Textile Quarter CIC (BTQ) and as a Fibershed affiliate for SW England is dedicated to supporting Bristol's textile community and building a more resilient local textile economy in the South West. BTQ provides access to workspace and equipment as well as the space and opportunity for local textile makers, designers, fibre farmers, students and graduates alike to meet, connect and forge meaningful collaborations. 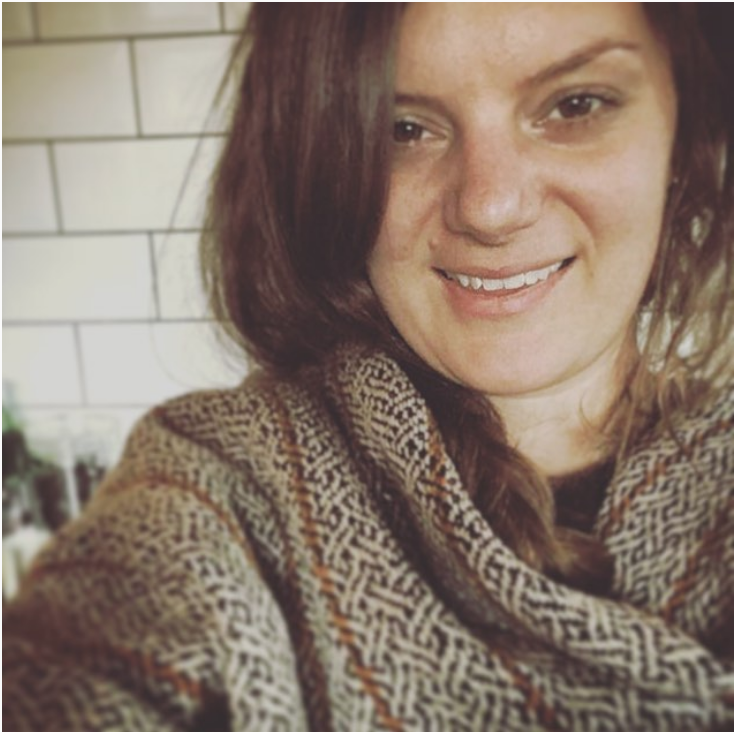 Emma co-founded the Bristol Cloth project with Babs Behan in 2015 and has since withdrawn from the partnership to focus on building the SW England Fibershed. Designed, sourced and manufactured in the South West. 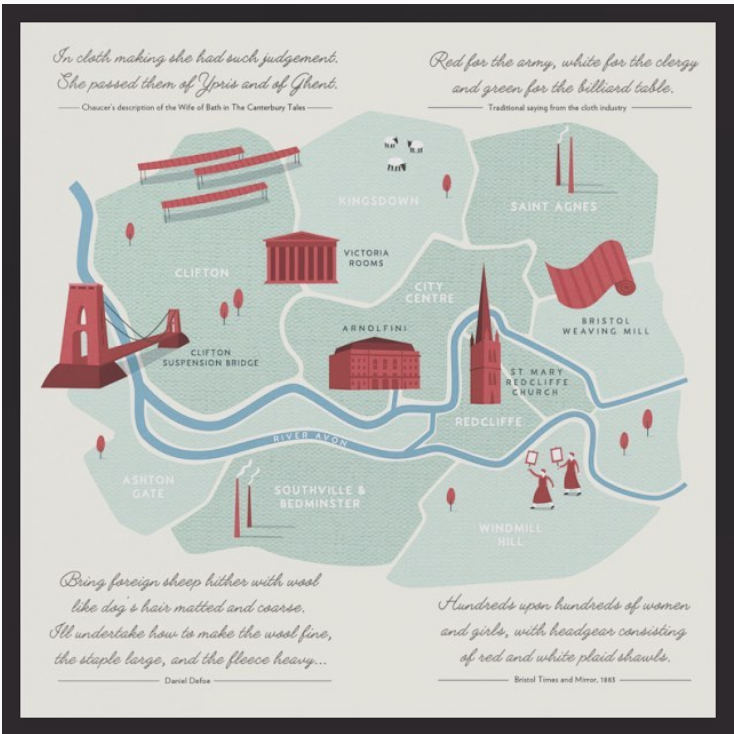 Following our regional design competition, to find a regionally-inspired design to launch the Bristol Cloth, the chosen winner, Wendy Kotenko, has had her design woven into a 5m length of cloth. This design is now being used to make the first 200 metres of Bristol Cloth, using wool from Fernhill Farm, natural dyeing from Botanical Inks and the first industrial weaving loom to open in Bristol in 90 years, The Bristol Weaving Mill.